The First Encounter of the Mestres of the Origin (current Counsel of Recordation of the Teachings of Mestre Gabriel). (Jaru, Brazil, 1987) | Photo: Yuugi Makiuchi. Later on, Mestre Gabriel went to live in Porto Velho, Brazil with his family and starting in 1965, he began the preparation of new disciples to receive the title of mestre of the União do Vegetal. 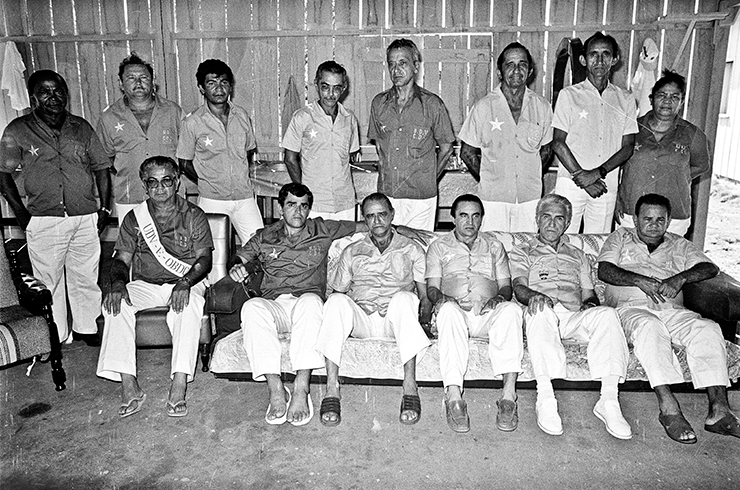 The first mestres convoked in the União do Vegetal are those responsible for transmitting the teachings of Mestre Gabriel, in their essence, to the disciples who are arriving, who in turn, according to their personal practice and spiritual degree, will be the future mestres and directors of the UDV.